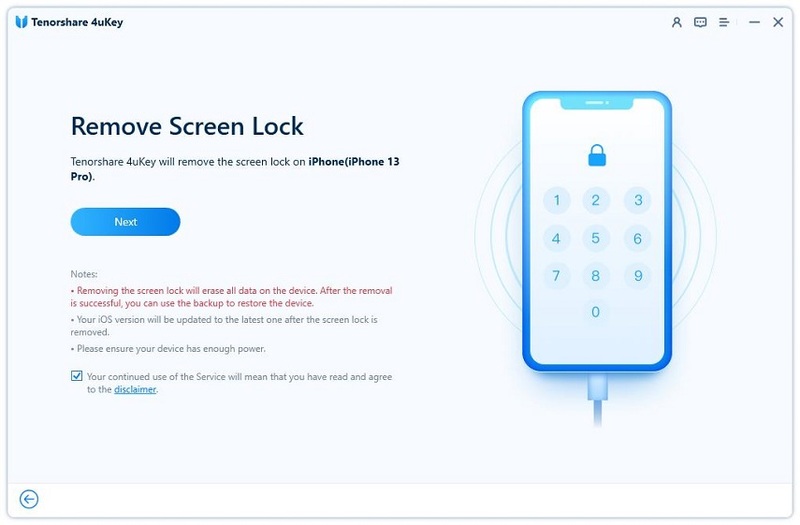 So, your iPhone XS/XR/X/8/7/6/5 get bricked after iOS 12.2/12.1/12 update, not to worry, three of the most effective methods to fix this situation are discussed below in details. You should read and follow them carefully. If your iPhone won’t turn on after iOS 12 update then you should try to fix it by doing a hard reset. It is a very simple procedure but the hard reset sequence varies for different models of iPhones. Step 1: Tap the Volume Up button and then tap the Volume Down button. Step 2: Then you have to hold the Power button. Step 3: You need to hold it until the Apple Logo is visible to you. Step 2: Hold for a few seconds until the Apple Logo is visible on the screen. Step 3: Now, just swipe the slider. Step 1: Press and hold the Power and Home button together. Step 2: Hold it for no more than 10 seconds. 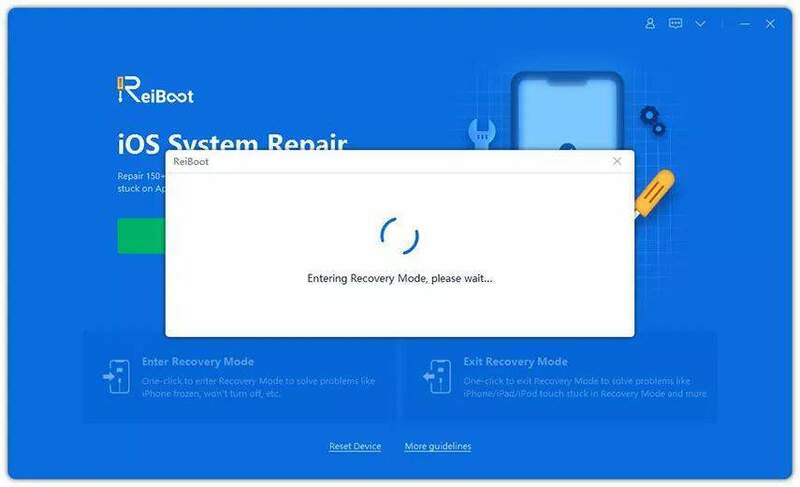 If your iPhone gets bricked after iOS 12 update then the best and the simplest way to fix it is to use an iOS System Recovery software. One of the best recovery software is Tenorshare ReiBoot. It's a third-party tool which is able to fix iOS systems in just a few steps. Be it any type of stuck issue, crashes, and boot loops etc, it can take care of anything. So, if you are wondering iPhone is bricked, how to fix? Go for Tenorshare ReiBoot and just follow the procedure below. Step 1: First you have to download and install this new software on your computer. Step 2: Then connect the bricked iPhone to the computer with a data cable. Step 3: When detected, click "Repair Operating System” or “Fix All iOS Stuck”. Step 4: Now again tap “Start Repair”. Step 4: Now, the software will ask you to download the necessary firmware for the procedure. Step 5: Browse and select a destination for the package and tap Download. The procedure will take just a few minutes, and once it is done the device will reboot. After you complete this procedure the device is bound to work properly. This is the easiest procedure to fix your disabled iPhone period! If the iOS 12 update bricked iPhone then them most obvious or the official solution is to use iTunes to fix the device. But you have to be prepared to lose all of your files and settings as this procedure will wipe the phone completely. So, how do you fix it if iOS 12 bricked iPhone? You connect the device to iTunes! Step 1: You need to make sure that you are using the latest version of iTunes on your computer. Step 2: Then, connect the device to your computer via data cable. Turn off device and hold the Power button for 3 seconds. Then tap and hold the Volume Down switch while you are still holding the Power button. Keep holding them no more than 10 seconds. Let go of the Power button but keep holding the Volume Down button until you see completely black screen. Switch off device. Hold the Power button for 3 seconds. Now, you need to hold the Volume Down button on the left while and the Power button together. Keep holding them no more than 10 seconds. Leave the Power button and keep holding the Volume Down button. The device will enter a black screen, it is the DFU mode. First, switch off device! Now, tap and hold the Power button for 3 seconds. Then, press the Home button without releasing the Power button. Keep holding them for about 10 seconds flat. Let go of the Power switch and keep holding the Home button for about 5 seconds and the device will enter the DFU mode. Step 4: Now, a pop-up message will immediately tell you that iTunes has detected a device in Recovery Mode. Step 5: So, click on “Restore”. The procedure is complete! It will take a bit of the time to restore to factory settings but after that, it is very much possible that your iOS device will work again properly. Well, in a perfect world you should not have such problems like iPhone won’t turn on after iOS 12/12.1 update but such things can happen to many people. Unfortunately, if you are one of them then just be on alert! Try to understand the problem and do not take any rash action, it may worsen the situation. Just make sure that if your device is bricked, you must follow the procedures in this article properly to fix the device. We highly recommend you to go for Tenorshare ReiBoot in this situation as it can fix your bricked iPhone easily and without any hassles. Go for it and you won’t be disappointed!